German Foreign Minister Heiko Maas called on Moscow to give way to the Americans in a dispute over compliance with the Treaty on the Elimination of Intermediate-Range and Shorter-Range Missiles (INF Treaty). According to him, Russia allegedly violated the treaty when it developed and began to introduce a banned ground-based cruise missile into its troops. Moscow must disarm so that it is provable. As is known, the United States is demanding that Russia change the characteristics of the 9M729 cruise missile (according to the NATO classification - SSC-X-8). In the expert community, it is commonly called the “land variant” of the sea-launched cruise missile “Caliber-NK”. According to the Americans, a rocket can hit targets at a distance of more than 500 km (according to the agreement, any missiles with a range of 500–5500 km are banned). In Russia, the 9M729 missile tests have never been officially reported. The messages of the Foreign Ministry only stressed that the product fully meets the requirements of the contract. But the problem is that the 9M729 rocket has never been tested for a range prohibited by the treaty. At the same time, counterclaims were repeatedly made in Moscow against Washington. The first concern was caused by the US plans to deploy in Romania the universal Aegis Ashore complexes, adapted to launch not only antimissiles, but also long-range strike cruise missiles, which is contrary to the INF Treaty. In particular, in the same Romania and Poland, the Americans deployed the Mk41 installations, which, as believed in Russia, can launch not only anti-missiles, but also ground-to-ground cruise missiles. The United States is also actively using the Predator and Reaper long-range unmanned aerial vehicles, which, in the opinion of the Russian military, are fully subject to the cruise missiles defined in the INF Treaty. Recall that for the first time the United States declared the existence of a banned missile in Russia in 2014. President Barack Obama spoke about this. 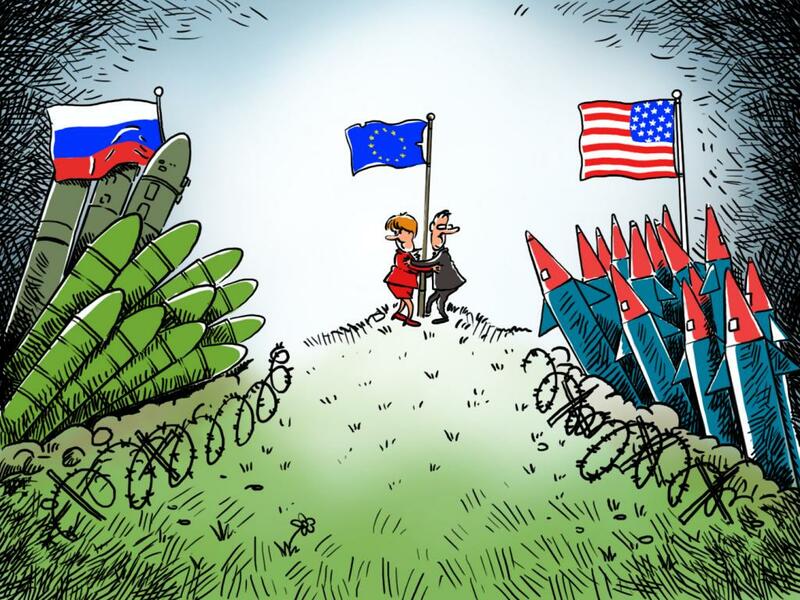 NATO did not share such fears for several years, but in October 2018, NATO Secretary General Jens Stoltenberg stated at a meeting of defense ministers of NATO member countries that Russia violated the INF Treaty, testing 9M729 cruise missiles. At the beginning of December last year, at a meeting of NATO foreign ministers in Brussels, US Secretary of State Michael Pompeo put forward an ultimatum to Russia - within 60 days (until February 2019) to begin to observe the obligations under the treaty. Otherwise, the United States will withdraw from the INF Treaty. Later, the Ministry of Foreign Affairs of the Russian Federation called such an ultimatum unacceptable. The Kremlin has repeatedly stressed that Russia did not violate its obligations under the treaty and remains committed to the agreement. Thus, the Americans demanded an impossible ultimatum from Russia. All this indicates that Washington artificially thought up a reason to exit the INF Treaty. You can put forward different hypotheses, what is the point for the United States to break the INF Treaty. According to one of the assumptions, the main task of Washington is in no way connected with Europe, and even Russia concerns indirectly. And in fact, the reason is focused primarily on the Asian theater of operations. In the future, to contain the military power of China, the United States needs medium and shorter range missiles. But Germany, in principle, like other European countries, is not concerned about Asia, but about the possibility of a nuclear arms race in Europe ... In this sense, Heiko Maas is sincere in his desire to preserve the INF Treaty, but, as often before, Europe has no single position.